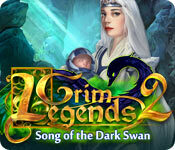 Grim Legends 2: Song of the Dark Swan is rated 3.7 out of 5 by 17. Rated 5 out of 5 by denniann2 from you have to try to heal a queen great graphics. interactive map. journal. you are a healer brought in to exam the queen who doesn't speak and when you get there the queen and king's infant is stolen. you then go on a quest to find the infant and figure out a way to cure the queen. sequel...i think so. you will see why!!!! 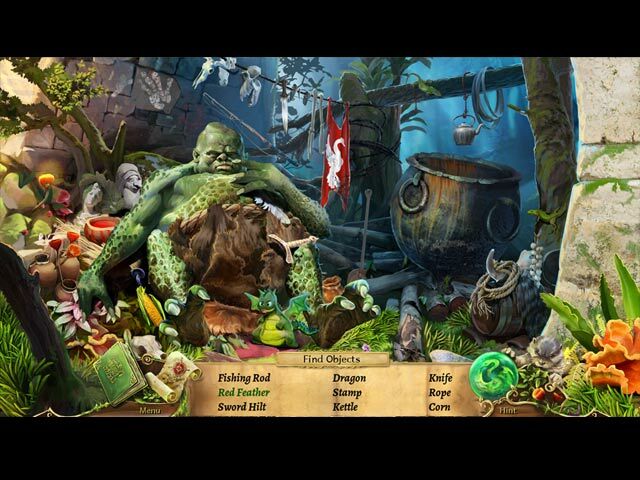 Rated 5 out of 5 by kikt1 from Lovely game for fairytale fans Since I am very familiar with the fairytales that inspired this game there weren't that many surprises (with the exception of the high body count, maybe) I really enjoyed the game and the graphics and the mix of puzzles, crafting potions and HOGs. It does have a fairly specific overall design so I recommend the trial hour or looking at the trailer closely if you like that sort of thing. I really liked it but then I have yet to see an Artifex Mundi game where I don't love the designs. Sound and music is mediocre, hence not the full marks. Like Grim Legends 1 it also comes with cute little avatars that help along (but fortunately don't have the same annoying meow of the kitten in the first game) I think the SE is enough, though. I did get the Collector edition and downloaded a nice wallpaper (really loved that garden with teh fountains) but it's not really necessary. Rated 5 out of 5 by Arnyth from Fun Game No bugs, not too much hidden areas. Rated 5 out of 5 by JimKir from Beautiful and relaxing I like quest elements in game and laboratory mixing. Overall - nice graphics and stylistics. Rated 4 out of 5 by 1289004 from A Land of Fantasy All in all, not a bad game. There were times that my interest started to fade. Not always was it obvious as to the next step to take. It took a little prodding at times as the thought process was not always practical. The colours were bright making it easier to see all the areas of the screen. Rated 4 out of 5 by MisterBear from Enjoyed it Storyline is good. Some new style puzzles (always a plus). You get varying "helpers", depending on your location (a nice variation). Altogether a very nice game. Rated 4 out of 5 by janey1806 from I enjoyed it! I liked the story and think this game is worth looking at and playing the demo, and I bet you will like it. It is light hearted fun. Thought the graphics were really good and its a bright colourful game. I enjoyed it! Rated 4 out of 5 by jocasta1 from Good SE game! I originally tried the CE version of this game, but I didn't think it was worth the extra cost. This is a good solid HO game with good HO scenes and puzzles. The game looks beautiful, but the movement of characters is pretty old school. It's not a real standout or anything, but is a great choice for a punch code credit! 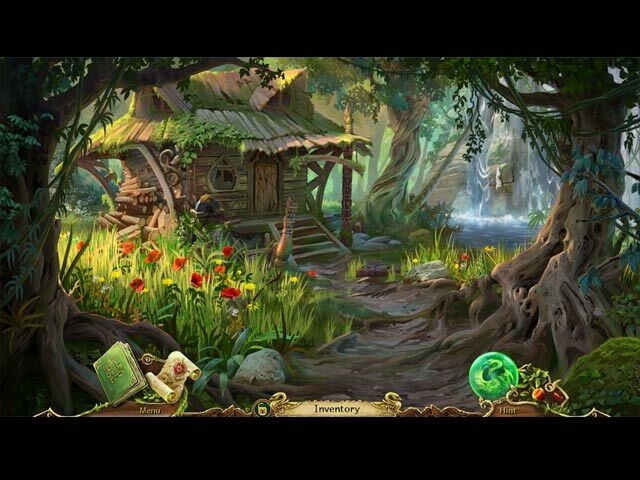 Rated 4 out of 5 by Granny_Gruff from A Solid SE This is a fairy tale game and a reasonably good one at that. I enjoyed the CE version and feel the SE is a good value. The artwork is beautiful, the HOPs varied with some being interactive, assorted mini-games, and the storyline involving, with three levels of game-play. This game may lean a bit toward the beginner, but picking one of the other two levels of play will satisfy most gamers. Please try the demo and Enjoy! Rated 4 out of 5 by pennmom36 from Grim Graphics Why on Earth did they use such cartoonish graphics on this game? The first Grim Legends had more realistic graphics, not spectacular but certainly not this basic. Some games can pull off this whimsical style, but this game didn't, in my opinion, better graphics would have made this game so much more enjoyable. Your skills as a Healer are required in the Eagle Kingdom to cure the Queen who has been unable to speak since the King rescued her from a burning building several years ago. No sooner than you arrive to examine the Queen, a magical dark figure appears in the Royal bedroom and kidnaps the Royal baby from the Queens loving grasp! Dark magic was strictly forbidden several years ago by the King's mother know as the Peacock Lady. The ruler of the nearby Swan Kingdom became obsessed with dark magic, turning the once vibrant realm into a land covered with thorny vines, and gnarled trees, the sky gave way to dark clouds that shrouded the Kingdom. A group of survivors escaped to the Eagle Kingdom where the ruling family respected the old alliance with their neighbors and took the refugees in, and this law has been enforced for everyones safety. Dark magic has now entered the Eagle Kingdom centered around the Queen herself, she cannot speak for herself leaving the King no choice but have his Queen arrested. Can you find a potion to give the Queen a voice before she's to be executed? Other than the graphics, this game isn't that bad, it has an interesting story and entertaining games. 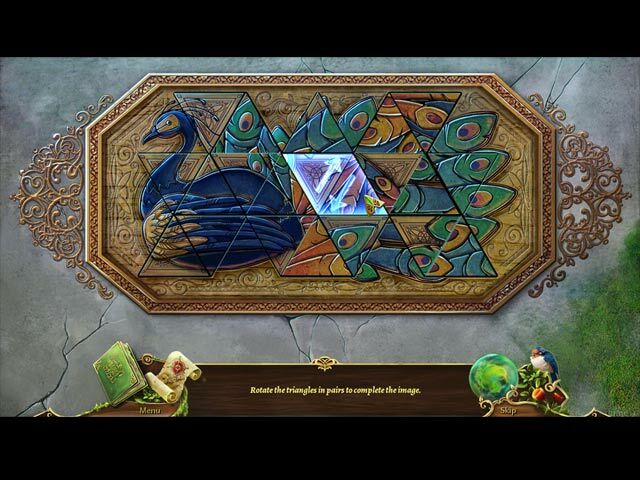 The Hidden Object Scenes are mostly fragmented finds where you locate several fragments in three different sections that form together to make a single inventory item such as a magnifying glass. There are also "find" several of the same item as well as interactive progressive silhouettes where you find the first item and use that item in the scene to reveal the next item and so forth. The mini games were similar to the first Grim Legends such as connecting two alike tiles with a chain, without crossing any other chain paths. The Collectors Edition has Achievements, replayable mini games and HOP, Cutscenes, Wallpapers, Soundtracks, Concept Art, Collectibles, a built in Strategy Guide, and a Bonus Chapter: A Princess and a Dream, enjoy! Prove the innocence of a young queen before she is put to death for a crime she didn't commit!